Above: The Cam at the Silver Street Bridge with Queens' College in the background. 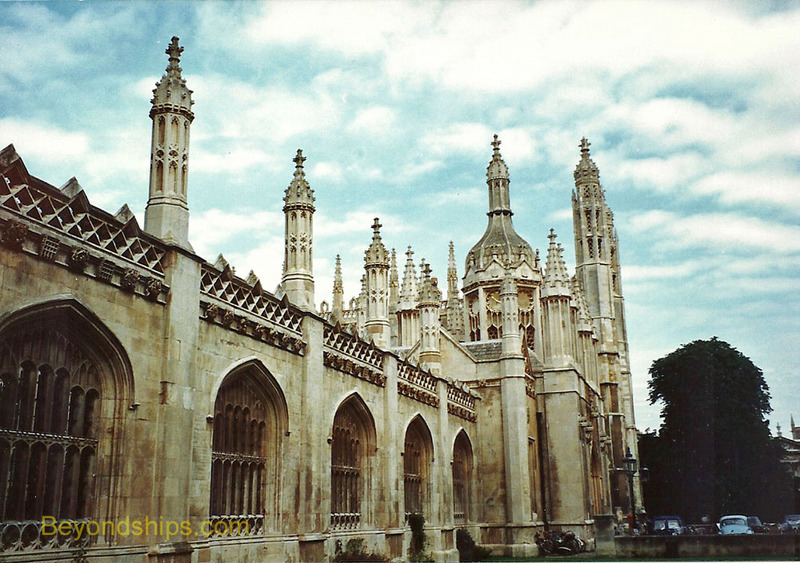 Parts of the University of Cambridge are scattered throughout the city and beyond. However, the area of primary interest for visitors lies between Silver Street on the south and Bridge Street on the north. The west side is bounded by Queens Road. Running along the east side of this area is a road, the name of which changes from Trumpington Street to King's Parade to Trinity Street to St. John's Street. In this area is the greatest concentration of the colleges including the most well-known. It is also where the University's core administrative buildings are. The best known and perhaps most beautiful section of the River Cam runs through this area. There are also shops, restaurants and other attractions of interest to visitors. On separate pages, we present information on three of the colleges that are within this area - - King's, Queens' and Trinity. 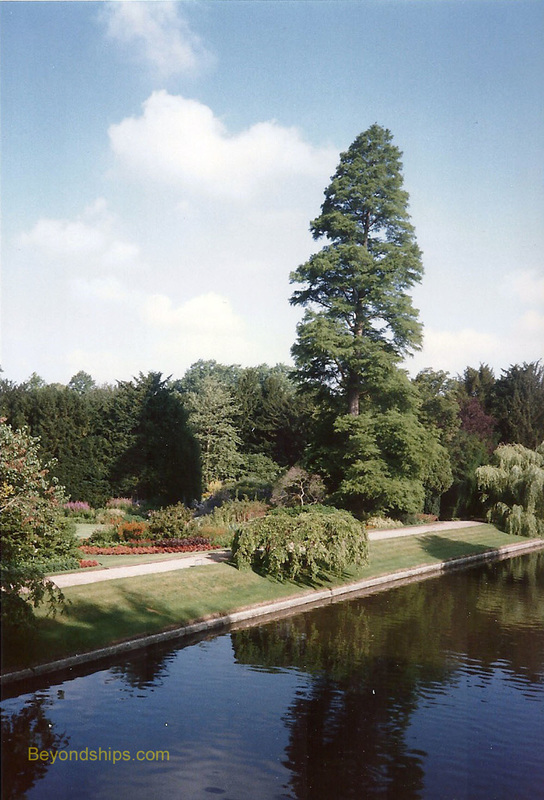 We also have a page about the river Cam. Therefore, on this page, we will focus on the eastern side of the visitor area where the shops, restaurants and other attractions are concentrated. 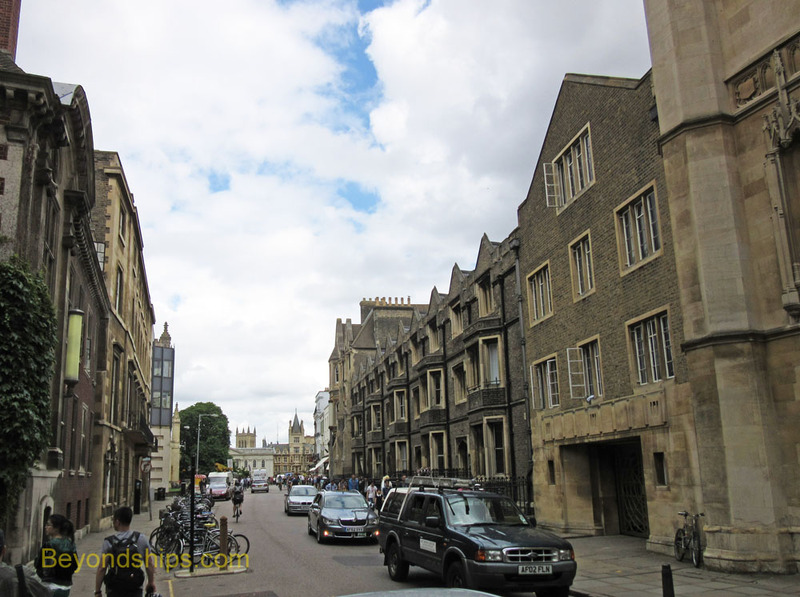 Above: The eastern side of the primary tourist area is bounded by Trumpington Street, which later becomes King's Parade, Trinity Street and St. John Street. Starting at the intersection of Silver Street and walking north along the street of many names, you come to St. Catherine's College on the west and Corpus Christi College on the east. Near where Trumpington Street becomes King's Parade is a piece of public art. Embedded in the wall of Corpus Christi College is the Corpus Clock. It is a relatively new addition to the Cambridge scene, having been unveiled in 2008 by Dr. Stephen Hawking. The clock is not your typical clock. There are no hands or numerals. Instead, the face is a large golden disc with slits that open in various patterns to reveal LEC lights. The disc is also a pendulum. On top of the disc is a sculpture that contains the mechanism that controls the clock. The sculpture, which looks like a grasshopper, also moves its jaws and blinks its eyes as it gobbles up time. This is the message of the clok - - time is passing constantly According to its creator John C. Taylor, it is meant to be terrifying. Crossing the street, you have the 19th century screen and gate that separate King's College from the outside world. When this was constructed, it caused a furor as all of the houses on the west side of King's Parade had to be demolished. Now, however, it is well-accepted as it allows views of the open green space of the college's Front Court and of its graceful buildings. Most of the shops along King's Parade are geared primarily toward the tourists. Here, you can find all sorts of Cambridge souvenirs including t-shirts. You can also buy a Cambridge tie. Each of the colleges and the University have one or more ties, some with the relevant coat of arms and some that are stripes of the college's colors. Only people affiliated with a particular institution are supposed to wear its tie. However, the shops will sell them to anyone who is willing to pay. Turn left at St. Mary Street and you will shortly arrive at Market Hill, a large open air market. Here, there are stalls selling all sorts of items as well as street performers. Above: The King's College screen. Returning to King's Parade, you come to Great St. Mary's. 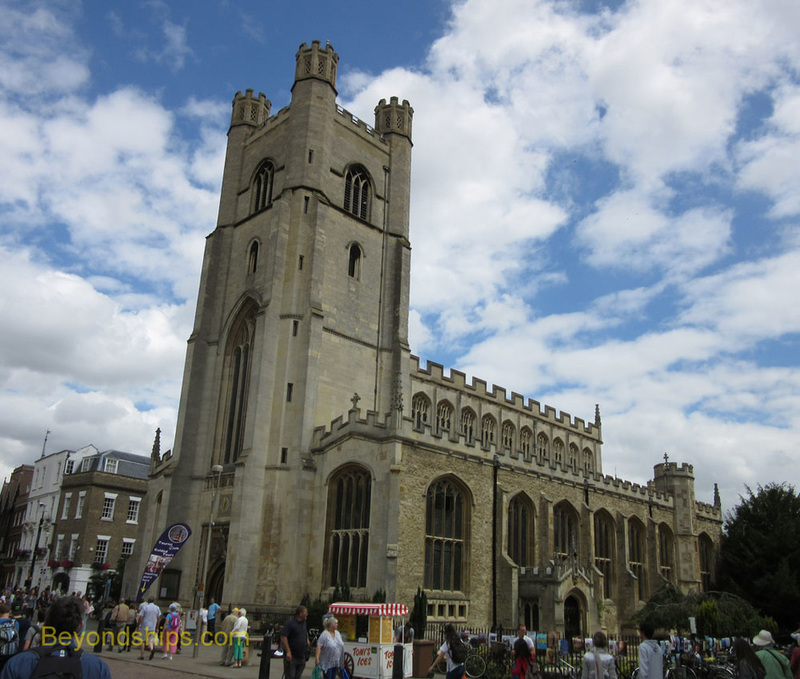 Although owned by Trinity College, Great St. Mary's is the University church. From the Middle Ages to 1730, University meetings and ceremonies such as the conferring of degrees were held here. The current structure dates from 1478. You can climb to the top of the bell tower for a panoramic view of Cambridge. Across from Great St. Mary's is a grassy area bounded on the north by a classical building. This is the Senate House, which opened in 1730. It is now used for degree ceremonies. 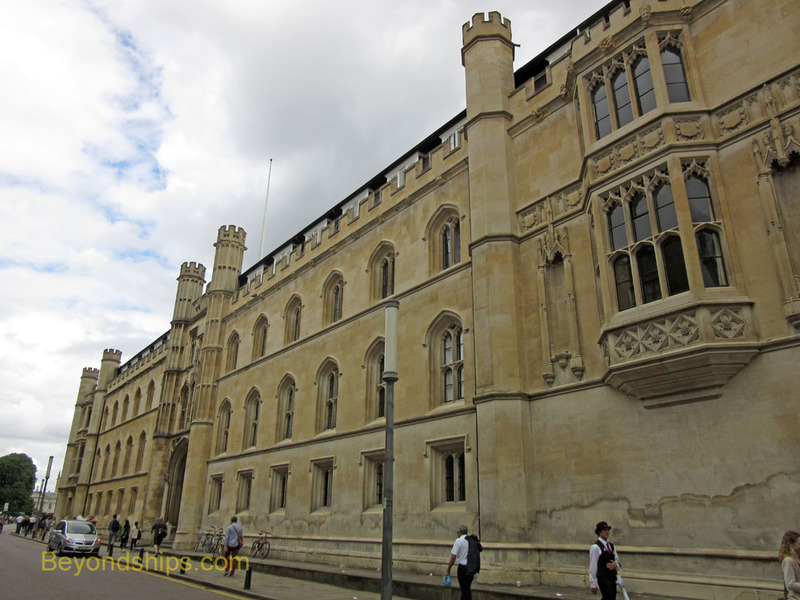 Nearby is the entrance to Gonville and Caius (pronounced "keys") College. 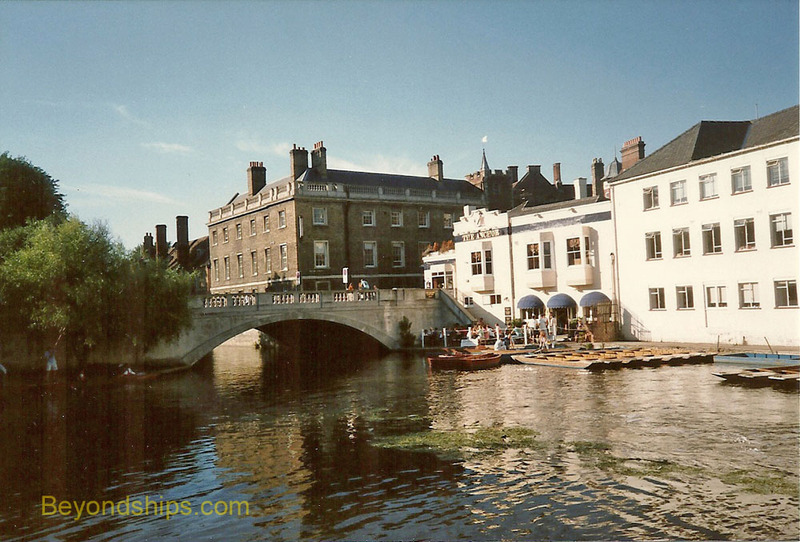 Also in the vicinty are Clare College and Trinity House College. Continuing north up what is now Trinity Street, there are a number of book shops. In addition to popular titles, books covering an amazing array of topics could be found here. Off to the left along this stretch of the road are Trinity College and St. John's College. Near the corner of St. John Street and Bridge Street is the early 12th century Church of the Holy Sepulchre, one of five round churches remaining in England. Above: The entrance to the Madingley American Cemetery. Two other places outside of this area are of note. South of Silver Street along Trumptington Street is the Fitzwilliam Museum. There are more than 60 museums associated with the University but the Fitzwilliam is the most famous. It is an arts and antiquities museum. The art collection includes masterpieces by Titian, Veronese, Rubens, Van Dyck, Frans Hals, Canaletto, Hogarth, Gainsborough, Constable, Monet, Degas, Renoir, Cézanne, Picasso and others. It also has important collections of antiquities from Egypt, Rome and Greece. 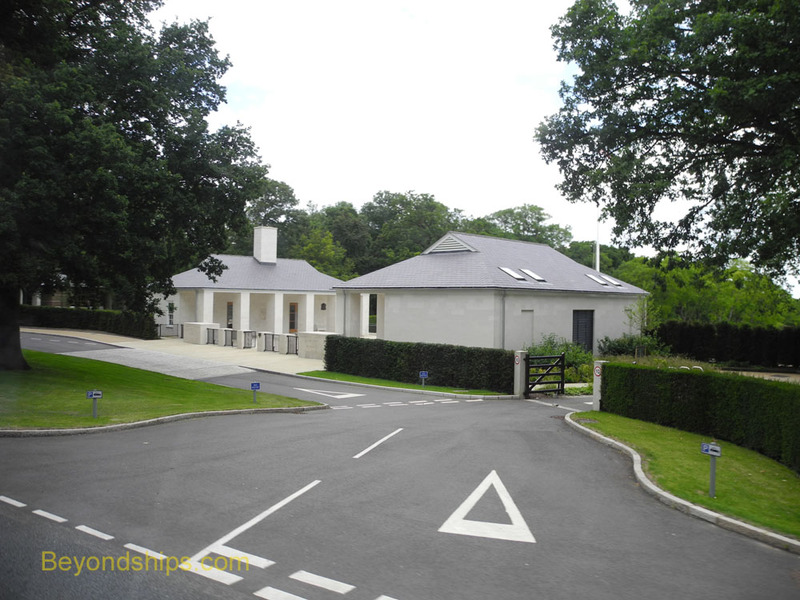 Three miles outside of Cambridge is the Madingley American Cemetery. The land for the cemetery was donated by Cambridge University and it is the last resting place of over 3,000 American servicemen and women who died during World War II. It also contains a memorial listing the names of 5,125 others who have no known graves.